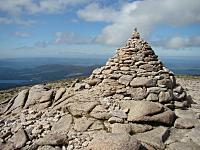 Cairn Gorm has many ridges on its N and W slopes giving rise to a series of corries. Of these Coire Cas and Coire na Ciste are scarred by ski equipment and debris and are best avoided unless you are in a hurry, in which case you may as well use the ski lift. 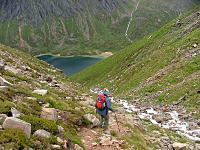 To the S and E are steep slopes some craggy leading to Loch Avon and Strath Nethy. 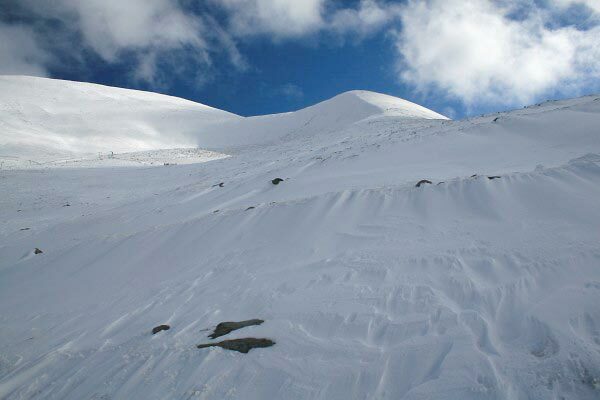 Cairn Gorm can be ascended from Coire an Lochain and Cairn Lochan to the SW, Ben Macdui to the SSW, Loch Avon to the S or from the N ridges of Cairn Gorm, all of which offer better views. Loch Avon coming into view on the descent from Coire Raibert on Caringorm. Fiaciall a Choire Chais and Cairn Gorm on 3 March 2007! The cairn at the top of Cairngorm,on a glorious sunny day on 11.07.2009,just left of the cairn you can see Loch Morlich in the background. 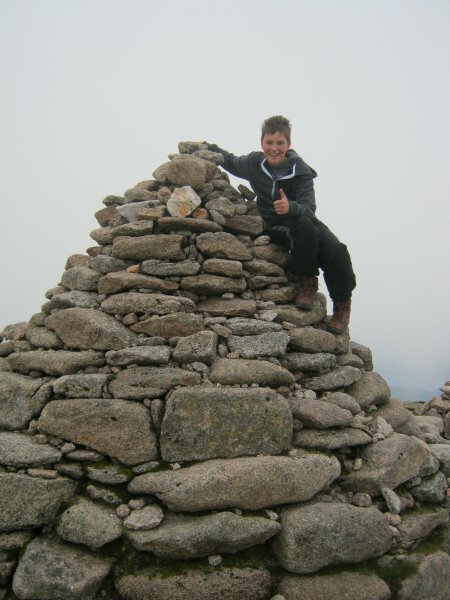 The summary information of one or more ascent routes that include Cairn Gorm. 1 650 m 7.74 km 3 hrs Cairn Gorm A very easy route is made less desirable by the ski tows, funicular railway and the erosion of fragile soil and plants. It is best climbed on route to somewhere more pleasant e.g. Beinn Mheadhion. 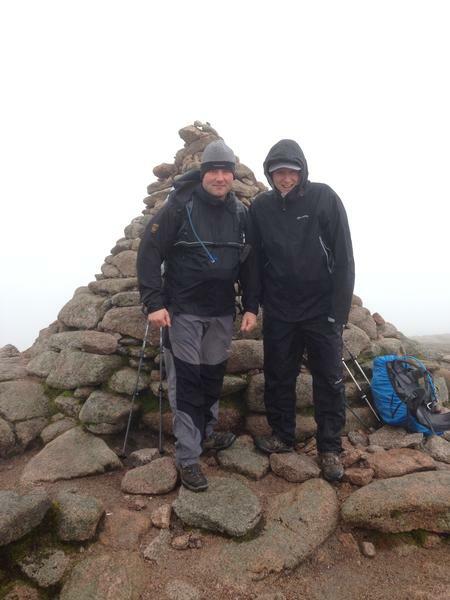 2 1841 m 18.42 km 7 hrs Cairn Gorm and Beinn Mheadhoin Moderate route but with steep descent from Coire Raibeirt to Loch Avon. 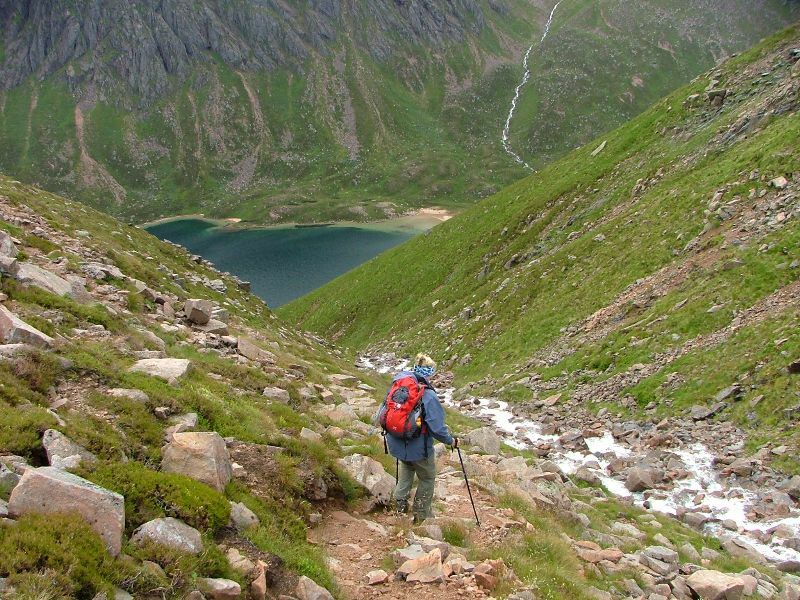 This is an interesting climb covering a variety of terrain and offering excellent views. 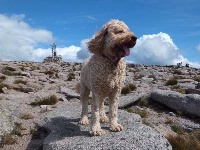 Molly at the top of Cairn Gorm. July 2013. 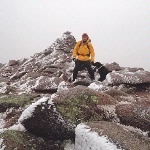 Post a few words about Cairn Gorm or read what others have had to say. Climbed on 10/8/09. This was my third and final outing of a weekend up north. Starting at the car park I took the path towards Coire an t-Sneachda in poor visibility . I left the path and scrambled up the steepest section of Fiacaill a' Choire Chais, then followed the path to a large cairn, which I briefly mistook for the summit, until I realised there was no weather station. Made the final climb to the actual summit before heading off to the Ptarmigan and back to the car. Mine and my fiance's first munro in feb 05. 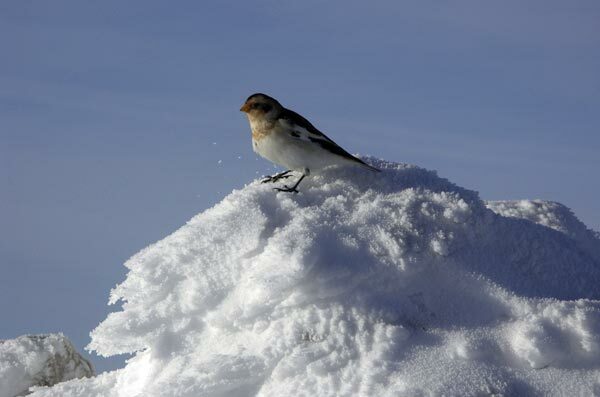 Wot a day, snow every where all you could see was snow. Waist deep snow. We started from the bottom of the ski lift and worked out way up to the top following the ski lift above. Visabilty was very poor so we used the lift as a good marker. Top class day got some mega pics will put on internet in the next couple of months. June 1995 and my first Munro, although I never found out what munros were until later. A long pull up the track from the Coire Cas car-park with full pack - 3-man tent, stove, etc on a fabulously hot day. Blue sky and lots of big snow patches. Big traverse over Cairn Lochan, Ben Macdui & Derry Cairngorm and down to camp at Derry Lodge where I was meeting up with a friend (who had left a car at the Linn of Dee for the return trip, of course). A totally inspirational first day out walking over the big hills of Scotland.